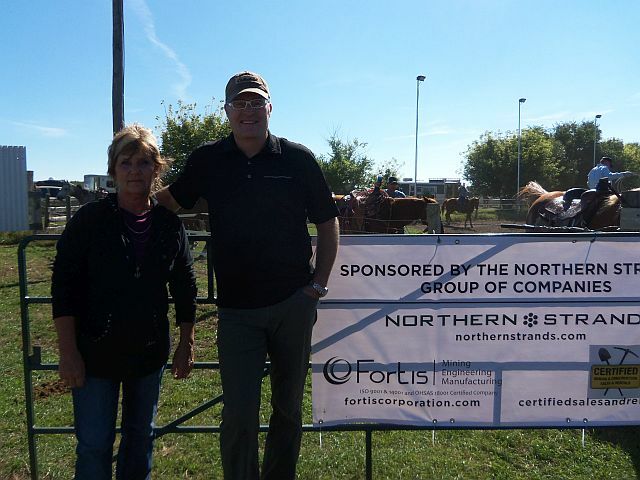 This past weekend the Northern Strands Group of Companies(Northern Strands, Fortis and Certified Mining & Construction Sales & Rentals), Sponsored the 2nd Annual Worm Dog Team Roping competition. It's a large team roping competition that draws competitors from all over North America. It was an excellent event enjoyed by everyone that attended! See the attached picture of Northern Strand's Matthias Rossen with event Organizer Debbie Watson. Northern Strands Training Division takes ALS Ice Bucket Challenge. Northern Strands head Trainer Ryan Green takes the ALS Ice Bucket Challenge!